The Spot Setting Blog has been doing live blogging and coverage of the IFSC Bouldering World Cup series as well as other large events for the past few seasons. Here are links, each page will have more links with different rounds of the comp, results, videos, photos, sometimes problem descriptions, and more. A few (like 2013 #1) are short summaries, but most will have in depth explanations and some have analysis of the climbs/climbers/rounds. Numbered comps are Bouldering World Cup Season Stops. Others are labeled accordingly. 2012 IFSC Youth World Championships…in Singapore! 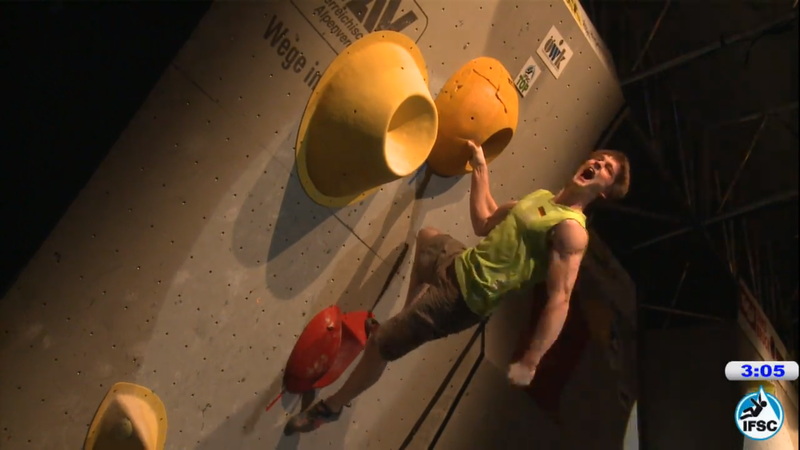 For all Bouldering World Cups covered in the 2012 season click this link. Events covered at the link above: Season Finals, Munich (medium coverage), #5 Vail (extensive coverage), #4 Innsbruck (extensive coverage), #3 Vienna (extensive coverage), and #2 Log Dragomer (extensive coverage).